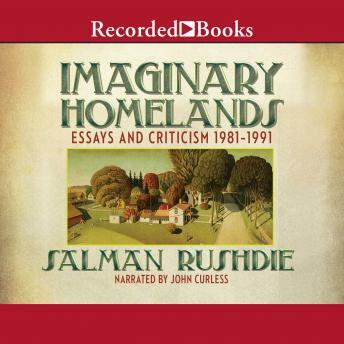 Salman Rushdie's 'Imaginary Homelands' is an important record of one writer's intellectual and personal oddyssey. The seventy essays collected here, written over the last ten years, cover an astonishing range of subjects - the literature of the received masters and of Rushdie's contemporaries; the politics of colonialism and the ironies of culture; film, politicians, the Labour Party, religious fundamentalism, in America, racial prejudice; and the preciousness of the imagination and of free expression. For this paperback edition the author has written a new essay to mark the third anniversary of the fatwa.